As per FHRAI, one of the biggest concerns is that after securing discounted rates from a hotel, OTAs offer further discounts on their online platforms without the hotel’s consent. “This damages the hotel’s reputation, and also simultaneously distorts the market scenario. Ironically, the OTAs have a clause in their agreement that forbids hotels from discounting their own rates, but are themselves free to do so. This disparity is not just unfair, but is clearly intentional and is done with the objective of market cannibalisation,” said Gurbaxish Singh Kohli, vice-president, FHRAI, and president, Hotel and Restaurant Association of Western India (HRAWI). The OTAs normally charge commissions ranging from 12 to 15 per cent from the hotels on bookings made by them. But MakeMyTrip and Goibibo are charging commissions ranging from 20 to 40 per cent. The exorbitant commissions have been adversely impacting revenues, business and the livelihood of hoteliers. “Over and above the high commission rates charged to the hotel, the OTAs offer enormous discount from their own end. This has rendered hotels helpless, left with no choice but to conduct business in a self-defeating atmosphere,” said Kohli. 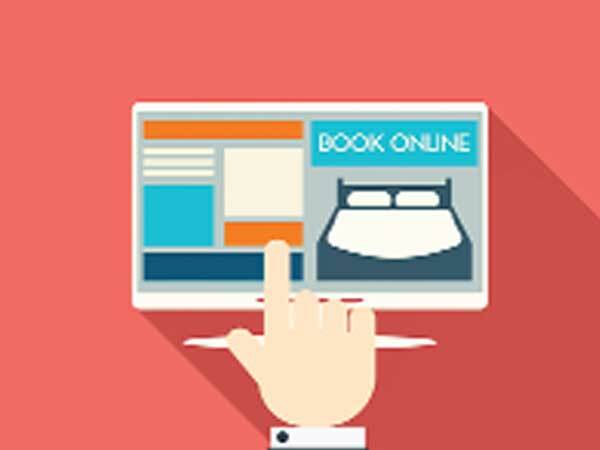 FHRAI has also alleged that OTAs are legitimising unlicensed accommodation providers by promoting them on their sites and apps while disrupting the business of organised hotels. “The usual hotels have to get 116 licences and that comes for a cost, whereas these service providers do not have any licence. Hence they have a cost advantage. Further, any illegal activity on the part of these providers can ruin the image of the hotel industry,” said Kohli. More than 40 per cent of the room inventory available on the OTAs is illegally operated, FHRAI said. All FHRAI members in Gujarat have boycotted these OTAs as also some in Maharashtra. FHRAI has written to these sites and is expecting to meet them soon. “If the issue is not resolved, we’ll go on nationwide protests against OTAs,” said Kohli. “We are actively engaged with our partner hotels and are in dialogue with FHRAI as well. We are confident that we will be able to resolve any concern amicably,” said a MakeMyTrip spokesperson. Meanwhile, booking.com met FHRAI/ HRAWI office bearers in a bid to resolve the issue.